I think it says a lot about Enter Shikari’s music that, four full-lengths and a few compilation releases in, the St. Albans four-piece remain potentially the most exciting band in British music. The same hype that preceded the release of debut Take To The Skies has shown no signs of wavering over the years, and if The Mindsweep wasn’t one of your most anticipated releases of 2015 then I’d be confused as to why. Like pretty much all of the bands releases to date their fourth full-length manages to meet expectations, and regularly surpasses them; it’s the boldest work Enter Shikari have put out to date, which is saying something considering they aren’t exactly known for holding back. The Mindsweep is a record well represented by it’s cover art, in that, as the artwork suggests, it triggers internal responses, and it does so by being, loud, well-written, and generally something well worth listening to. It has its ‘weaker’ moments which provide a stumbling block or sorts around the halfway point, but from start to finish the record fizzes with a pulsating energy, an energy that only Enter Shikari seem to channel this well, and effectively. They did so on Take To The Skies eight years ago, and they’re still doing it on The Mindsweep, but they’re doing so having improved as musicians and songwriters in that time, meaning that their fourth record also happens to be their most convincing. The outing feels like their strongest and most cohesive yet, dizzying it it’s intensity and dazzling in its inventiveness. Anything goes, and anything often goes down very well indeed. Firing on all cylinders, Enter Shikari are at the top of their game here, and it shows on second track The One True Colour, one of the strongest tracks the band have released to date. It has a feel similar to the songs which made up Common Dreads, and it also features a slight trance element which is more prominent on Torn Apart, meaning that at times The Mindsweep seems to borrow from the bands back-catalogue, and puts it to good use. 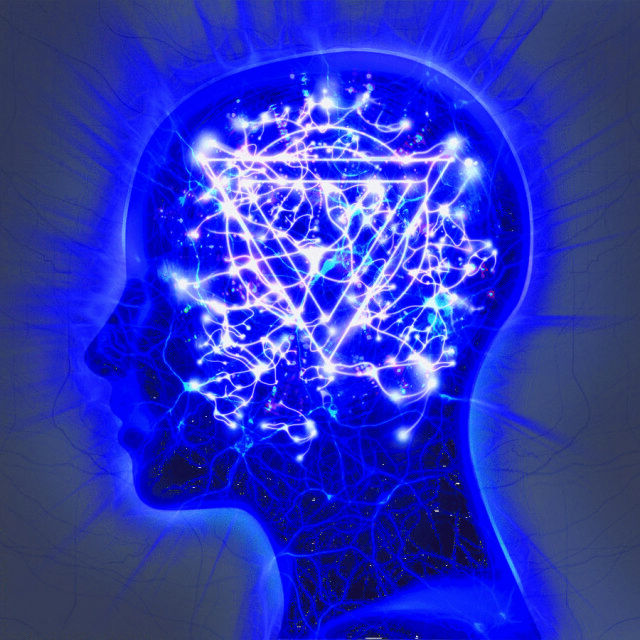 Having followed Enter Shikari’s ascent from just prior to their debut it’s good to hear, and at times it seems like The Mindsweep is a culmination, the record on which they really honed their sound and channelled it most effectively. I got that notion slightly with A Flash Flood Of Colour, but I sense it even stronger here. That’s how I hear The Mindsweep anyway, as a landmark release, and on the likes of Myopia the bands frequently insane nature is captured with striking clarity, an area in which the record excels. It’s maddest, most layered moments hit hard, but they do so with a delivery that at some point in the past seemed to be lacking. Sure, once or twice Enter Shikari may try too hard to conjure something chaotic and then control it, but it doesn’t happen often, and for the most part they don’t really put a foot wrong. The times when they do however, are often as a result of production which doesn’t always do the songs justice (which isn’t helped by their often frantic nature), and there’s so much going on at any one time that it can be difficult to keep up and single out certain elements. That being said, keeping up is always part of the fun – keeping up with all the instrumental touches, or keeping up lyrically. As per usual there’s some food for thought in this latter regard, with most songs remaining political and provoking. Enter Shikari have always been outspoken, and little has changed here, be it on the NHS-attacking, The Prodigy-esque Anaesthetist (‘You sap the blood of the afflicted‘) or the rallying The Last Garrison (‘Can you hear the war cry?’). Frontman Rou Reynolds is as commanding as ever, be it in the quickfire, almost rapping of Never Let Go Of The Microscope, or in the guttural roars of ‘I am a mindsweeper, focus on me’ on both the opener and closer, which serve as the bread in The Mindsweep sandwich, both an introduction and an ultimatum. Although his words sometimes get lost and lose their impact it happens infrequently, and on the System Of A Down-like There’s A Price On Your Head (which reminded me of Tribalism‘s All Eyes On The Saint) he is manic and gripping. It’s on penultimate track Dear Future Historians… on which Enter Shikari shine on their fourth, and the song offers up the biggest surprise on the record, if you could call it a surprise given their creative aspirations. After eleven eccentric tracks you’re treating to delicate, piano led sentimentality which is heartfelt in nature, with a vulnerability to it which has featured rarely in Enter Shikari’s often brutish discography. ‘I’ll never experience the world you inhabit, I never swam with dolphins, I never sang from a mountain top’ Reynolds sings from a studio, his vocals light, before the song perks up briefly for a chorus, and again, more notably towards the end, at which point it erupts from nowhere (as a lot of the songs here often do, The Bank Of England notably) into towering, eclipsing and explosive life which ends the track on an undisputable high, the line ‘Put your weight on my shoulders’ seeing it out. It feels like a grand finale, and maybe it should be, although the band venture forward again for the savage and sharp The Appeal & The Mindsweep II, which isn’t exactly something to complain about. I’ll maintain with confidence that Take To The Skies remains my favourite Enter Shikari record, but ‘favourite’ doesn’t necessarily mean best. That honour should probably go to The Mindsweep, which is the bands most challenging, but ultimately their most rewarding release. Considering I wasn’t blown away by A Flash Flood Of Colour I was surprised, floored even, by the bands fourth LP, which brings back some of the intensity, mixing it with thoughtful lyrics and that trademark Enter Shikari charisma and charge. Three weeks in you’re looking at one of 2015’s strongest records, and come the end of the year it will remain so, standing like a statue.